I often get asked what is one item in my closet that I can’t live without and for the past few years I’ve always had the same answer, my black blazer. I love how I can throw it on with anything and instantly feel put together. My favorite look is pairing a blazer with jeans, especially my ripped pair this summer, giving those holes a little bit of sophistication. Blazers also act as the perfect cover up when wearing a little dress and easy to put on when you get a little chilled. 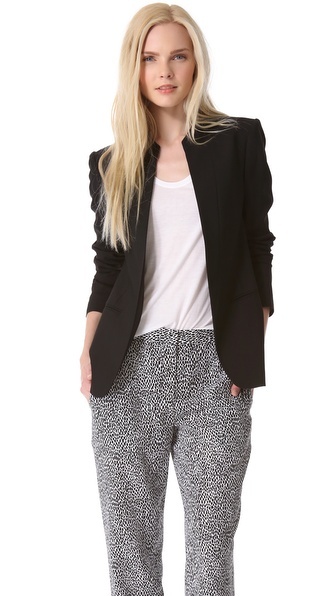 Every girl should have a basic black blazer in her closet. What’s your go-to in your closet?